At Big Horn 46, enjoy waking up with views of Lone Mountain or Spanish Peaks out your bedroom windows, then going downstairs to your recently remodeled kitchen and great room for a fresh cup of coffee and breakfast. In winter, walk the 150 steps from the front door to the Black Bear Poma Lift which takes you directly to the slopes. Don't want to ski? Take the five minute walk to The Mountain Village or go to The Meadow Village using the shuttle 150 steps away for shopping or people watching. Snow shoeing and cross country skiing are also great here. In the summer, some of the best mountain biking and hiking are right out your door. Enjoy the zipline on the mountain or paddle boarding, canoeing, and paddle boat rides on Lake Levinsky all only a short walk away. White water rafting, fly fishing and horseback riding are also close by. Finally, Yellowstone National Park is just 60 miles down the canyon. After a day of enjoying what Big Sky has to offer, relax in the new five person sauna room enclosed in the garage. After warming up, either go out for a delicious dinner at one of the many fabulous restaurants in The Mountain or Meadow Villages, go for a yurt (snow cat) trip up the mountain in the winter for dinner/sledding in a heated tent in the woods, or cook it yourself in your fully stocked kitchen. After dinner, enjoy time with family and friends playing board games/cards, talking, or enjoying a movie on your large HD TV/sound system. You'll have a blue ray disk player, Xbox 360 and Wii, DIRECTV, and access for streaming sites like Netflix and others. A Bose wireless music system can play your favorites. The green electric fire place provides you with ambiance minus the soot and smoke. The master bedroom upstairs has a king sized bed, HD TV with DIRECTV, full bath and views of Spanish Peaks. 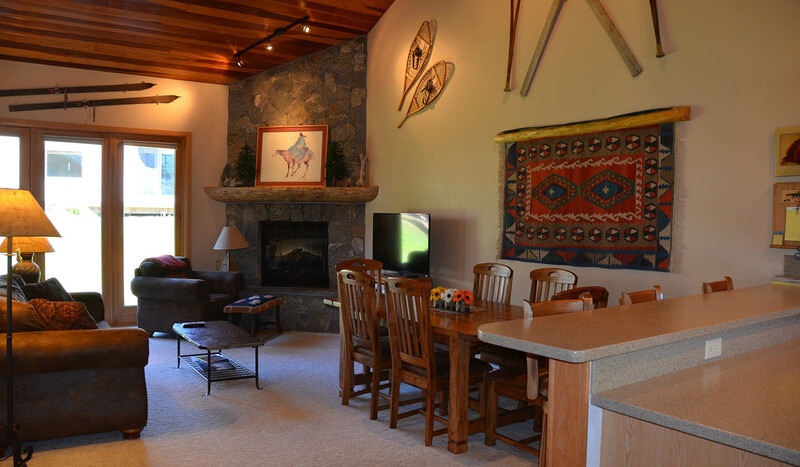 The second upstairs bedroom has a queen bed, HD TV with DIRECTV, full bath and expansive views of Lone Mountain to plan your day of skiing. Finally, the downstairs bedroom has a twin over queen log bunk, full bath, HD TV with XBox 360, Wii and DIRECTV. We have plenty of board games, cards and puzzles to keep all entertained. We also have sleds for the adventurous in the group that want to walk up to the ski hill for some sledding. It's all included. Other amenities include new gas grill, boot dryers and free Wi-Fi. You will have everything you need! Enjoy! !